Email marketing is the most effective marketing channel and for every $1 you spend, you can expect a return on your investment of $43. Are you achieving a high ROI from your email marketing campaigns? A successful email marketing strategy is more than tactics. We provide you 5 strategies, including real-life examples of how Amazon, HubSpot and President Barack Obama use email marketing to succeed. With 3 unique email marketing case studies, we let you in behind-the-scenes and share how we used email marketing to achieve a 94% open rate and 30% click through rate. More than 280 billion emails are sent daily. This figure is expected to reach 333 billion daily emails by the end of 2021. Email marketing strategies have changed over the years. What worked five years ago, now no longer works. But it’s still a key player to any marketing strategy. In fact, for the very best online marketers’ email marketing is their go-to marketing channel. Email marketing outperforms all online marketing strategies, including SEO, PPC, and content marketing! An email marketing strategy is an important part of any marketing strategy. Email is the most cost-effective way to promote your products, communicate with your customers and reach your business goals. And on average, for every $1 you spend on email marketing, you can expect a return of $43 (up from $40 in 2017)! Here, we will share the best email marketing strategies you can use to achieve extraordinary results through email marketing. When you follow these email marketing strategies, email will become your most important channel too! When we say personalized email marketing, we don’t mean that you send an individual email to every single subscriber. Personalization means that you use customer data to create a personalized message. A great example of a company that does personalization well is Amazon. All of Amazon’s emails are personalized. It’s not “Dear valued customer”, but “Dear Steven”. It’s not, “You might like these… (randomly generated)”, but “You might like these (based on buyer history)”. To Amazon, email marketing is not just another marketing channel. It’s key to of the overall customer experience. Jeff Bezos, Amazon’s CEO is an email mastermind. Jeff Bezos understands the value of emails and has been known to read through customer complaints. It’s also why more than 35% of all product sales come from recommendations (both via email and on screen). And it’s not just Amazon that have seen these kinds of results through personalization. On average, email marketing generates $0.11 in revenue per email. If you send 100,000 emails, you can expect $11,000 in revenue. Or, if you personalize your emails, you can expect up to six times that. How’s that for a revenue opportunity? 70% of brands do not use personalization within their email marketing strategy. This means that by personalizing your emails, you stand out against the competition. The simplest form of personalization is to address the reader by name. Most email service providers (ESP) offer this within their functionality and this tactic alone will improve your campaign performance. Ask for the right information upfront: Great personalization starts way before you hit the ‘send’ button. It all starts with your sign up form. Without data such as name, company and location, you will be very limited with your personalized communication. Remember to only ask for the information you need, rather than the information you want. This is one of the ways that GDPR has impacted marketing teams. Use your real email signature: Just like using a real reply-to email address, you want to use real contact information within the email and the best way to do that is to include your contact details in the email signature. Giving your readers the opportunity to contact you or connect with you online is a great way to be personal and build a relationship with them. 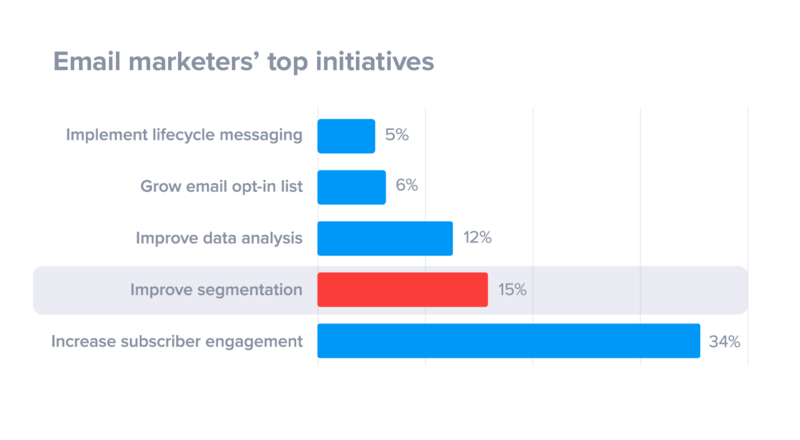 According to email marketers, segmentation is second on the top initiatives list this year. Do you know why it is so high? It’s because when you segment your database, your email campaigns become much more targeted to your audience. How can you expect to get the best turn out for your event? The best way to get small business owners to turn up to your event would be to create a segment of people who list themselves as a small business owner that lives within 20 miles of your event and then send them an invite by email. The segmentation part is simple and can easily be done through CRM software. Compare this to sending one email to your entire database, with subscribers spread across the country (or continent). How annoying is it to receive an email that invites you to an event that is located on other side of the world? Before you start segmenting your database, let’s take a look at how valuable it can be. A study by HubSpot found that all email marketing KPIs perform better when you segment your email list. If you segment your lists, you get better open rates, revenue, leads, transactions and more customers. Another benefit is that segmentation goes hand in hand with GDPR and email marketing. We recently sent out two email marketing campaigns. Both campaigns had the same subject line and the same content. The first campaign was sent to our non-segmented email list, while the second was sent to our segmented list (segmented by interest). 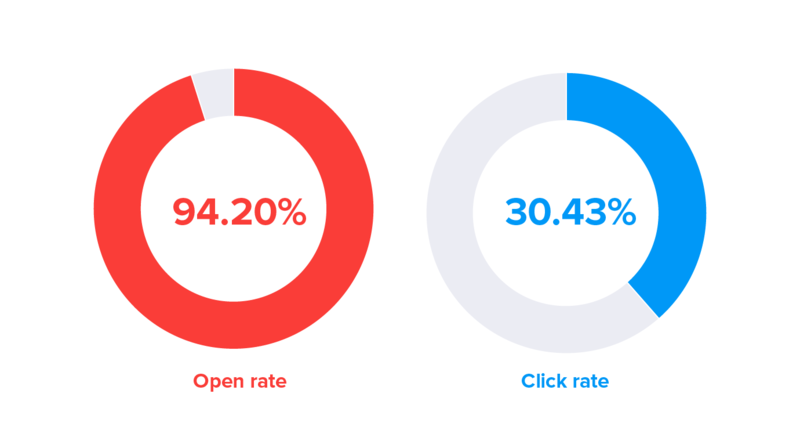 The first non-segmented email earned an impressive 42 % open rate and a 4.5% click-through rate. However, the segmented email campaign earned a 94% open rate and a 38% click-through rate! 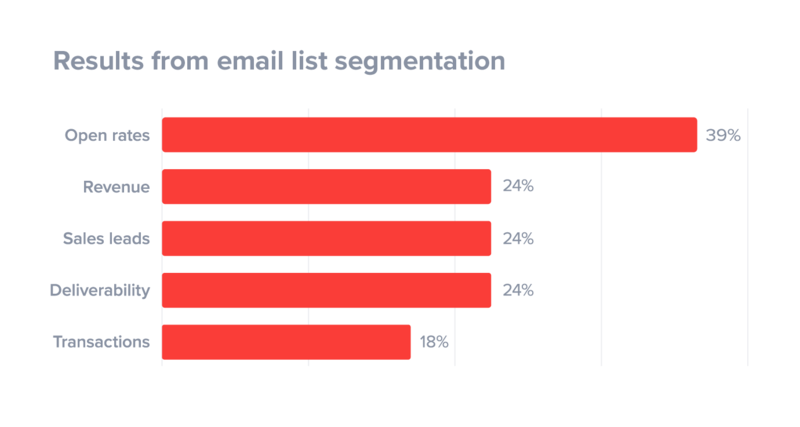 As 9 out of 10 email marketers’ do not segment their database. Segment by company size: Also known as account-based marketing, segmenting email campaigns by company size or annual revenue is a great way to increase response rates. A small business that employs 5 people is not likely ready for the biggest industry conference of the year, whereas a business that employs 750 people might be a better fit. In 2012, 27% of all marketing emails were opened on a mobile device. By 2014, that number jumped up to 42%. Now, it’s as high as 61%! And what do you do as soon as you wake up in the morning? Don’t worry, you’re not the only one. 62% of us do this. When you send an email to a subscriber who reads their emails on their mobile device, but the email is not optimized for that device, what do you think they do with? Mostly, they will unsubscribe or delete it. 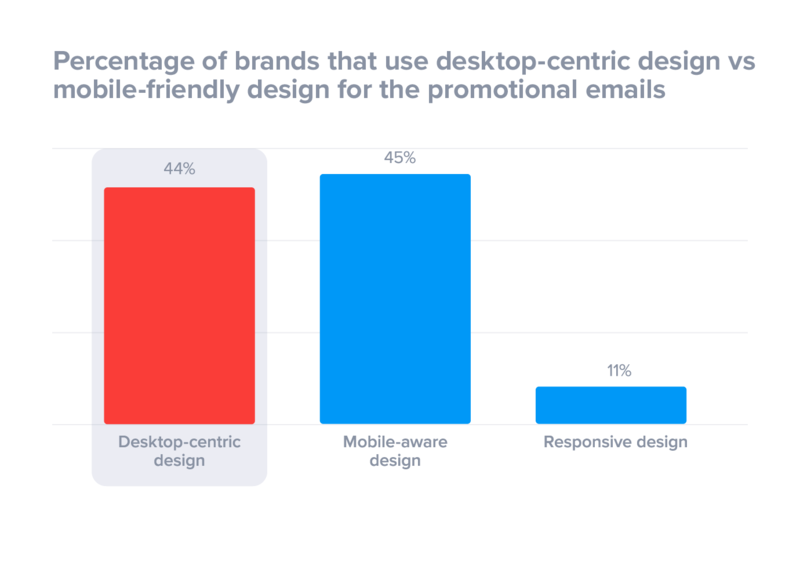 So why is it that almost half of all emails are still not mobile friendly? Worse still, our own email marketing research found that 20% of email campaigns are not optimized for mobile. Yet on the opposite end of the scale, and when email campaigns are optimized for mobile, they generate a lot of revenue! The average revenue per mobile email is $0.40, which is almost 4x that of a desktop email click, according to Yesmail. So, how do you optimize your campaigns for mobile devices? Don’t worry, here are some tips on how to do that. Implement responsive email design (RED): Creating a responsive email design means that the user experience is optimized regardless of the device or screen they use. Most email service providers (ESP) offer this solution within their email functionality. Make the CTA big and obvious: Mobile device vary in size. While a text link may work on a tablet or larger screen, you might be alienating your readers who have a smaller screen (or bigger hands!) if your call to action is too small. Make the call to action, big, bold and simple to click. And email marketing is no different. Sure, you’ve probably tested subject lines before – who hasn’t? Email marketing played a huge part in the success of Obama’s 2012 Presidential campaign. 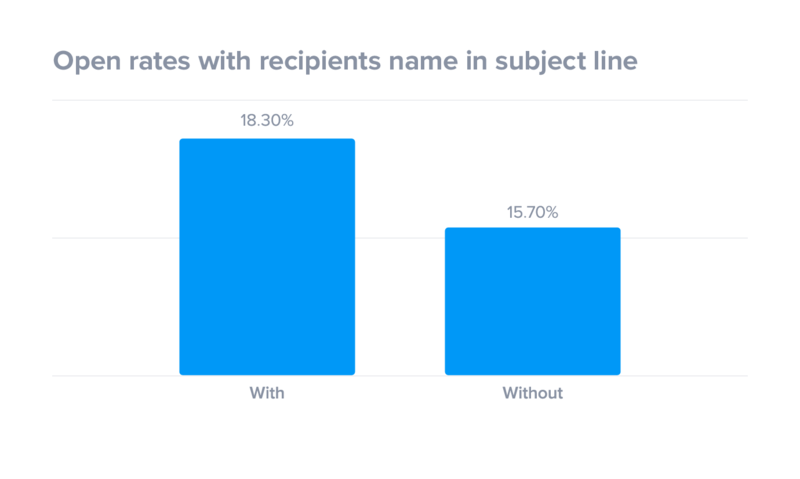 By sending several variations made to the subject line to a small sample of subscribers, they were able to calculate the amount in donations they could expect to receive based on the results. The best performing subject line (“I will be outspent”) was expected to generate $2,540,866 in donations. In fact, the best performing subject line outperformed expectations and generated a total of $2,673,278. But it’s not only subject lines you can test through email marketing. From address: The name that appears in the “from” field has a huge impact on whether the reader opens your email. In fact, the sender name is the main reason why people open your email. Test your from address by sending your campaigns from a person’s name, person + company or from your CEO. Plain text vs HTML campaigns: Like most marketers’, I’m sure you are already sending a plain text version of your email. However, have you thought of testing an email campaign that is plain text only? And when you add an element of personalization, plain text emails appear to be written just for the reader. Long vs short emails: You can keep your emails short and sweet or, you can create long detailed emails. Long form emails can include more detailed copy whereas shorter emails will send the reader directly to a targeted landing page. The best way to see what works best? Test it. Trigger-based emails are emails that are sent out automatically based on user behavior. The most common forms of trigger emails are ‘welcome’ emails, ‘thank you’ emails and ‘transactional’ emails, such as order confirmation email and email receipts. 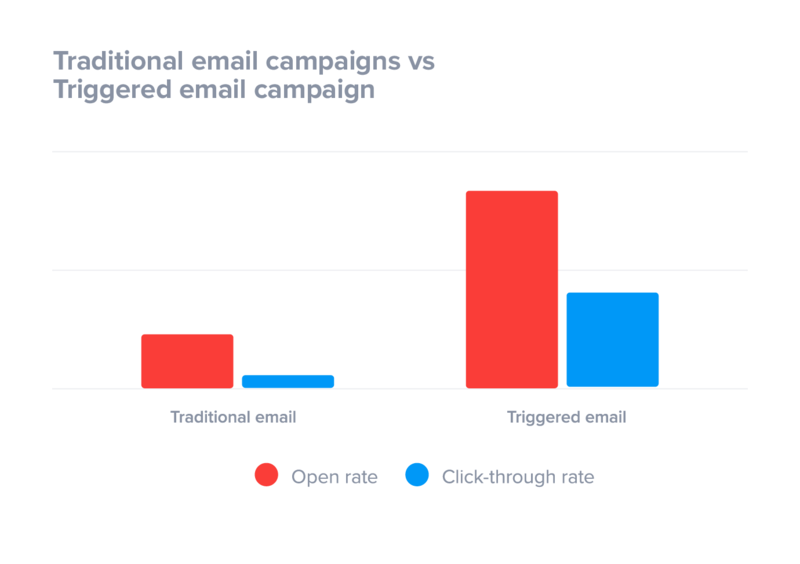 The data behind trigger emails shows us that trigger emails perform much better than traditional email. And not only that, Forrester research found that trigger-based email marketing campaigns can generate 4x more revenue and 18x greater profits! Well, it’s not. We’ve tested it. And it works! Our triggered emails generated 5x higher open rates and 15x higher click-through rates. Today, only 25% of marketers currently use triggered emails and they make up a low percentage of overall email volume, at around 2.6%. However, they can be responsible for as much as 20% of your email marketing revenue! Triggered emails perform really well because they hit the email marketing sweet spot. 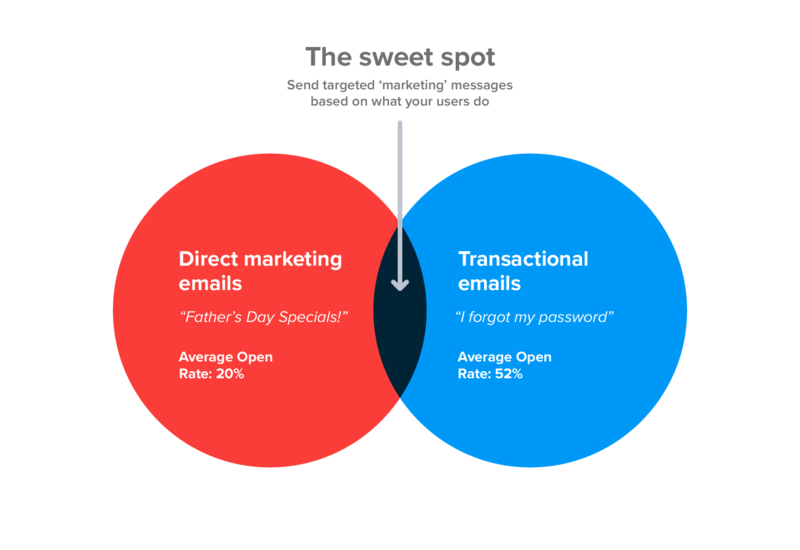 What does the email marketing sweet spot look like, you ask? And the reason why they perform so well is because of context. You visit a website, browse the product line and add items to your shopping cart but, you begin to have doubts and decide to leave before completing a purchase. This happens to every single eCommerce store, every single day. And what if this email included not only a quick-link back to your shopping cart but, a free shipping code or 10% discount? Surprise: Customer loyalty is the key to success. And you can reward your loyal customers by giving them something for free every now and then. Create a “surprise” email that sends an automated email to your best customers that offers a free yearly license to your software for them to use, a gift card or even a coupon code to redeem a box of cupcakes. It’s a small cost for your business but, the reward is huge! Email marketing continues to deliver results. But email marketing has evolved. It’s no longer as simple as sending the same email to all. It’s time to update your email marketing strategy. Now, you need to send targeted messages. Messages that are personalized, and optimized for multiple devices. You also need test new elements. Trends change quickly, and what worked 12 months ago may not be successful today. Be open to testing. And when you understand what works, find ways to automate it through triggered emails. What do you think makes a modern email marketing strategy successful? P.S. If you got some value from this email marketing strategy, remember to Tweet about it here! Some great statistics here that are sure to help Marketeers and business owners understand the importance of email marketing as a communication medium. I certainly will be using this article in future discussions with SuperOffice Customers and Prospects! Thanks for the comment, Matt. Glad to hear you will use this as a resource for future discussions. Hello, Steven. Nice article. You have hit the nail on the head. I too believe that both old and new marketing needs to compliment each other to get the desired result. I feel that with data from new marketing solution like social media shall be added to old tools like email marketing and direct mailers to make them more efficient and bring real business value. Thanks for highlighting the points. Hi Steven. You've written a very nice article here. Your article will surely help marketers and small business owners like me to understand email marketing strategy. Thanks for sharing this. Thanks Philip. Very much appreciated! 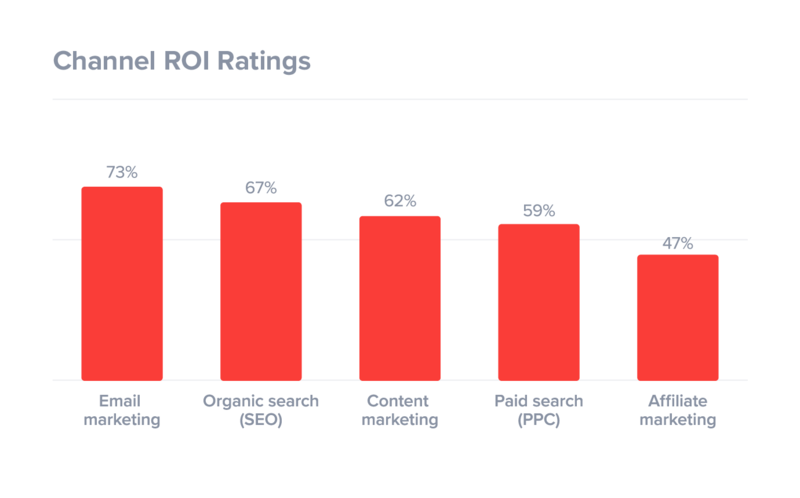 Hi Steven what is the source of the figure about "Channel ROI raitings 2016" ? Thank you in advance! I completely agree that Email Marketing one of the best channels for sales. Also, with the aim to get better results, you need to monitor your competitors newsletters and their offers. It's good way to find new insights and differentiate your email marketing strategy from them. I agree to personalize a message. The more personal your emails are, the better the chances of them getting opened, and ultimately, getting a positive response. This email marketing article is very insightful, and I found it answered a lot of my questions about strategy. Thank you! Thank you for sharing this useful information with us. This post gave me lot of experience and knowledge. Keep it up. I hope to read more posts about email marketing from your blog. Thanks for this thorough guide on email marketing! Email is one of the most important factors for any business success and everyone should implement an email marketing strategy. Hi Steven! Great blog on email marketing! Well-explained with graphs. I appreciate you sharing this great article! If you’re still sending mass emails without updating your email marketing strategies, you'd noticed that results are disappointing, despite your efforts in updating your mailing lists and creating emails. If you aren’t getting clicks, most likely you’ve been wasting your time. However, these tips are game changers, I bet these would help a lot. A must read! Steven, you nailed the topic! Thanks a lot! I am already on my way to your described perfect email marketing strategy. 1. Following tactic of personalization in my messages, because I always appreciate the personal touch myself. 2. Next, segmentation - real assistant for you and your audience, it filters out everything you don't need and everybody that won't be interested in your topic. 3. Mobile-friendliness that's is the point I was never outlined and thought of. So the first thing to improve! 4 & 5 Testing and automation are included in my plan from provider.Thanks again for the content, now I know gaps in my strategy, that I could work on. Hello Steven this is a very well put together article. It takes all of the content that is spread around all over the internet and sums it up nicely. This is great for both beginners in the industry and seasoned veterans whoa re looking for a quick review before sending out the next campaign. Keep up the great work Steven and looking forward to reading your new content! Hi Jennie. Thanks for commenting. I really appreciate it. For me, the best way to increase the ROI of email marketing is to segment your audience. Treat your subscribers like individuals and create campaigns that are tailored to their needs. That's where I would start if I were to create an email marketing strategy. Thanks for the valuable information. It's really helpful to me to gain a clear understanding and overview of email marketing. That's a great article, Steven! Hope to learn more from your future insightful articles! Hello Steven, first of all I want to thank you for posting such a informative article. Email is an essential part of our digital life. I didn't have any prior knowledge about email marketing before reading this article. But frankly sepaking now I am keen to know more about email marketing. Informations , data about email marketing and visulization style which are used, makes this article more attractive. Thank you for putting such effort. Thank you for the kind comment, Varytha! Glad you enjoyed the article. Great article! If a company doesn't have the time or skills to do their own email marketing, then this is a great guide to get started! Excellent work with this comprehensive article. I especially agree with your fourth point — tracking and evaluating your campaigns effectively has been shown to increase results by 100% or more. Great Article! Even with all of the new marketing technologies and tactics available to us, it’s still the simplest that works best - email marketing! Very thorough, Steven! I believe personalization is very important in email marketing - as otherwise, they can come off more robotic and unnatural. Excellent piece of information with in-depth analysis to an email marketing strategy. Also, the surveys and statistics provided are very beneficial for one and all. A really well defined article you have wrote here. Any marketer should follow these email marketing strategies. Thank you! Very good article on email-Marketing strategy, thank you! I like this guide sooo much! The section on triggered email campaigns is very insightful and I think automation is necessary in a marketing strategy today. 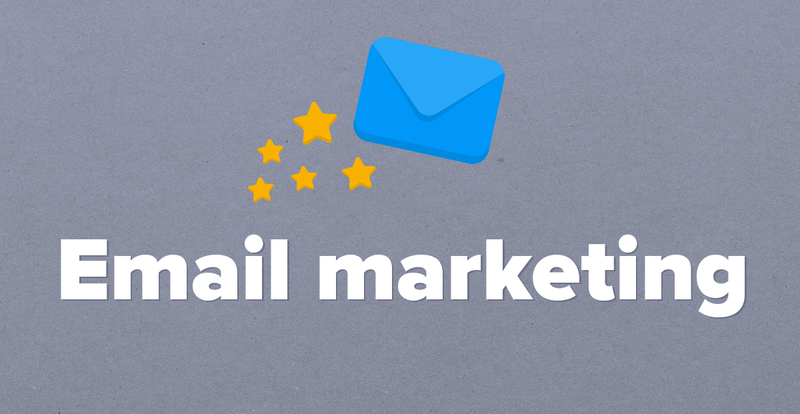 This is a perfect guide for any beginner to the world of email marketing. It can often be super confusing when you are new to email marketing and you may not be aware of how to go about things. This article is great as it talks about the various factors that can make email marketing campaigns a true success. I agree with every single point that has been mentioned above. I especially agree with personalizing emails as this can totally grab the attention of any reader. Thanks for this post! Very helpful information. I agree with keeping it mobile friendly - especially now when everyone has a smartphone with them all the time. It's perfect if you use an email service that makes campaigns mobile-ready. Great article on email marketing! It includes a really nice study too! Thank you for sharing this email marketing strategy and I also think that statistics that prove your marketings strategy need employee advocacy. Hey Steven! Thanks for sharing the great email marketing strategy. Very well written! Yes, you are right that optimized email campaigns for mobile are the great way to get traffic. Thank you for sharing this Email Marketing strategy. I liked the way you have described all the details with graphs. Keep it up. Thank you very much for this super insightful and well thought out article! Have scribbled a lot of helpful notes from this as a beginner in email marketing for a small company :) thanks again! Thanks, Esther! Happy to hear that you liked it! Email is king of every marketing strategy. It is cost effective with ROI (Return of investment). Email marketing can build a strong relationship with your customers. It is easy to communicate. Thanks, Steven for the excellent article. Hi, Steven thank you for the great article. Can you please Suggest me a good email marketing software? Email marketing strategies are hugely effective! Great article, Steven! 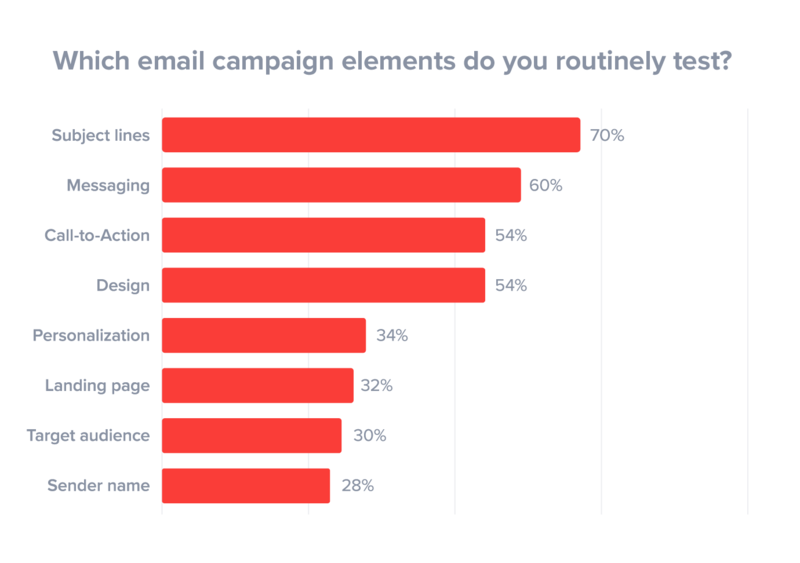 That’s a good breakdown of the different strategies for better email marketing campaigns! Amazing article.. Loved the suggestions you offered. Will definitely try these email marketing strategies in my business! I used all the tips from your article and I managed to improve my email marketing campaigns. That's amazing, Dan! I'm super-happy to hear that. Keep up the good work! Great article! Personalized messages can harness positive relationship with your customers. Once I have heard that both SEO and PPC helps to bring quality traffic to website or blog. But, email marketing is the best among all digital marketing channels. That was really a nice article and great email marketing statistics! Thanks for sharing. I have used some of the email marketing tips already - it works really well and has increased my conversions, so thanks to you, Steven. That was a super helpful article! I'm writing my digital marketing strategy assignment and you helped a lot! Thank you! Thank you, Steven! Your post clearly shows the importance of choosing the best email marketing strategy in order to get noticeable improvements in the digital market arena.